We have a unique job, and its good to have a laugh. We hope you enjoy the best responses to this competition. You have to use a full tin of Glen 20 after they leave the office! They send you a long email explaining they’re a great tenant but they’re going to get a crappy rental reference and it’s not their fault! If the application stinks like cigarettes and is torn and stained and the only words they spelled correctly were their names, it’s not a great first impression! When the personal reference was his cell mate! They put their parole officer as one of their personal references! When they are 40 years old and have no prior addresses or rental history. They must’ve lived under a rock for all those years! 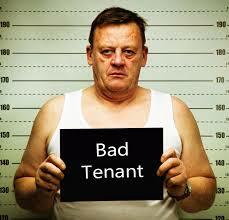 “But I’ve rented through your agency before”, and their history shows a court order for possession due to rent arrears. When you call their personal reference and the first one says they smashed every wall with an axe – like that’s the best reference they had? When every reference field has the same number in it and it’s the number of the co-tenant they are applying with. They can’t give you their current address or date of birth because the Rental Bond Board is stalking them! They have only ever rented privately and when you check the owner of that address it is not even close to the person giving the reference. It doesn’t pass the smell test. Stinks of cigarette and is covered in grease. They don’t know their current address, get paid $10.00 per hour for waitressing but don’t know how many hours per week they work and they don’t know any of their current or previous landlord details. Of course the spelling on the application is barely legible. Oh, and their mobile contact number only had 9 digits. They have listed every single pet they own on the pet section from cat, dog, rabbit, goldfish, lizard, bird and those funny axolotl lizard/fish things (in multiples as well). When they send a friend in to collect an application form and the friend tells you how no one will give their friend a chance because it wasn’t her fault her last rental was trashed and her boyfriend didn’t pay the rent. Your applicant works as a cleaner but the landlord reference says otherwise! When their proof of ID is a passport they have forged themselves. When they ask “if I pay all of my arrears with my old agent and they take me off TICA, can I move in?” No. No you can’t! When they rock up to the OFI in a clapped out old car wearing just grease stained boardies (and nothing else), chewing down the last of their maccas and greet you with “gidday luv” (a total favourite of mine) from a mouth which hosts very few teeth over a tobacco stained beard. Stinking of BO, they hand you an application that has a total of about 15 words which looks worse than the applicant and the car.They look inside the front door and say “Yeh this’ll do, give me a ring hey.” and drive off doing a burnout – just to show me how cool he is. I kid you not!! When they have been kicked out of their previous house by the bailiff and are now living in their car with their 10 Chihuahuas which are indoor pets. But they originally had 19 dogs. They appeared on ‘A Current Affair’! When they try to explain that the other real estate agency took them to tribunal yesterday for arrears, but it was the agent’s fault because they didn’t really owe that much. Further inspection uncovers that this same applicant also had an $8500 arrears debt with a previous agency. Another applicant handed over his ID and in the mix was an AVO! When they offer $50 more in rent in a bad market, offer to do all the work in an old property as they are a handyman, make up a fictitious real estate agent and the contact number is answered by machine, they are currently staying in a hotel, they offer to pay 6 months in advance. When they refuse to provide supporting docs as they are private or the 5 supporting docs (that are less than 6 months old) all have different addresses including their current address in their application. Their proof of address is their methadone program and photo ID is a photocopy of a photo of herself saying this is her. When you say you can’t help them because they are listed on TICA and then they come to your office threatening to kill you, then they go to the property they applied for without permission, see the owner there, they cry and say they need a place desperately and the owner gives them approval to their face, then calls me and asks me to organise it all. When they use an overdue bill as a supporting document to their application. They ask if prison ID is counted as 100 points. When they have played around with their bank statement to try to make it look good & the dates they put on it are months in the future that haven’t even happened yet or they put their application under the wrong office door then abuse the receptionist for not finding it. When they list more than one available property on the application form, because they don’t care which one they get, they just need one because of all the reasons above. They give you a copy of their jail release as proof of identity! All supporting documents show they haven’t paid the phone bill, electricity bill or Foxtel bills, the rental ledger shows arrears and breaches and you were told they will treat the property as if it were their own. When they have all their worldly possessions packed tight in (and on) a 1970 unregistered station wagon and can move in immediately and then proceed to urinate in front of you in the front garden. They come to the viewing in their “onsie” at 3.00pm! When they can’t provide photo ID because they have lost their license so to prove their identity they have a letter from child support with $5k of arrears, a letter from synergy advising of legal action due to non-payment and a letter from a debt collection agency! That application got pinned on the wall to give us a giggle when we were stressed. When they send you a lovely long email of items they want fixed, updated, renovated or changed PRIOR to them moving in- sometimes (even better) before they’ve applied! Quality tenant right there!